The demon immediately drove the steed out among the waves. 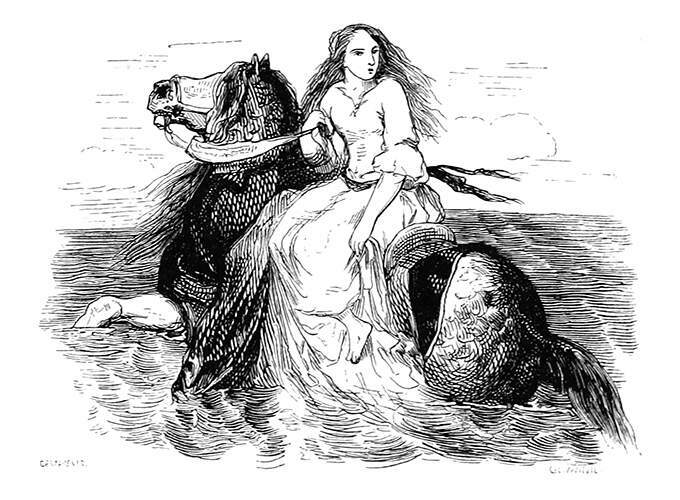 A young woman rides sidesaddle a horse headed out to the open sea. The caption reads in the French version: Aussitôt le démon entraîne au milieu des vagues le coursier.